Every site needs to RANK high in google, get NOTICED by visitors and customers and it needs to GET TRAFFIC. And there is a SHORTCUT that many people don’t know about. It’s HOW TO BOOST YOUR NEW SITE Instantly and make it more visible. And for doing just that we’ve created the Simple Site Booster software. Not just that, you’ll see that in a couple weeks, your site has gone to get over 100 backlinks from all these top sites without you doing any work for it. There is absolutely nothing to install or setup with this. That’s why Simple site booster is a must have for any new site and is the PERFECT companion to WP Freshstart. 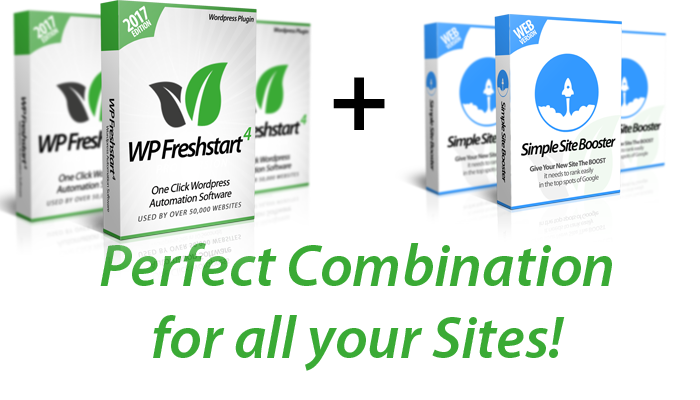 Launch a new site with WP Freshstart. 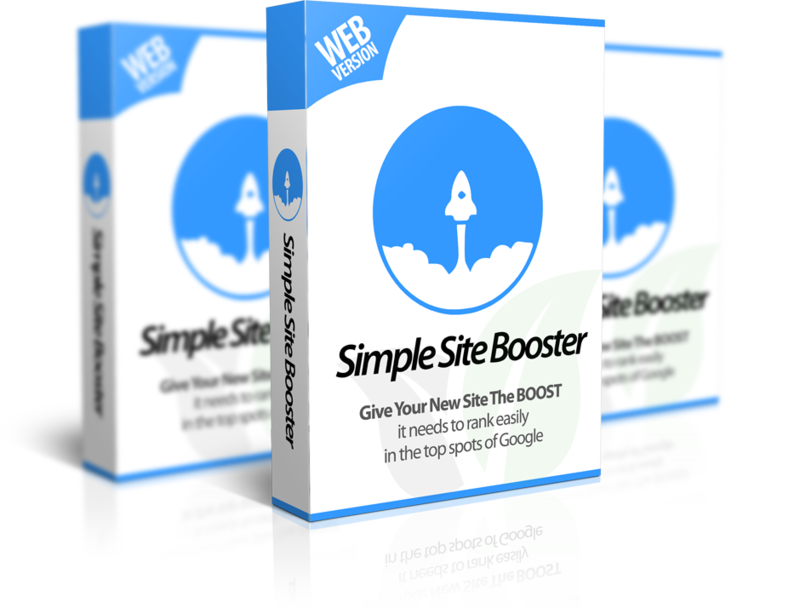 Then Give it a quick boost with Simple Site Booster. And your site will be on it’s way to ranking in Google. So grab your copy today at this highly discounted price only during this special launch! ...and you’ll have access one tool that you’ll want to use on every single site you have. In just ONE CLICK, make any Wordpress site mobile friendly and create a mobile version of the site to get traffic from the fast growing mobile users on the internet. No Thanks, I do not want to boost my sites to the top of Google, Yahoo and Bing.